Galgos, or Spanish greyhounds, are customarily used for hunting in Spain. According to custom, those dogs that do not do well will not be kept for the following year's hunt and are hung by the neck from trees and left to die. This practice still occurs regularly in Spain, in spite of the efforts of many who are adopting galgos throughout Europe. My own dog, Tye, is from a litter of thirteen brought over in 2004, still in his mother's womb. Fortunately for him, he bears none of scars carried by most galgos. But many galgos still need our help. 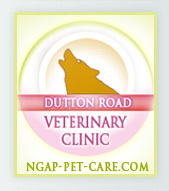 In the past, NGAP has brought many galgos, or Spanish greyhounds, to the United States. 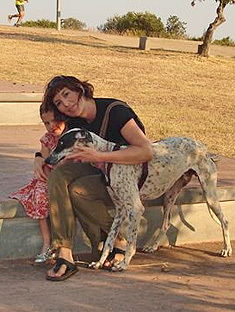 Two-and-a-half years ago, Cristina Bahamonde escorted several galgos to the United States from Spain. One of those galgos, named Lucas, had been hung from a tree by the neck and left to die. Miraculously, Lucas survived but he will bear the scars forever. 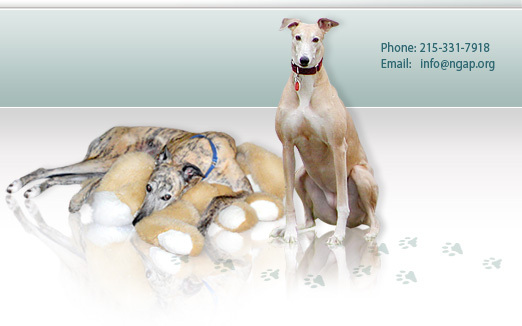 Cristina Bahamonde and others have formed a new organization to help the galgos of Spain. Click the link below. It helps if you understand Spanish but is still worth a look if you don't! 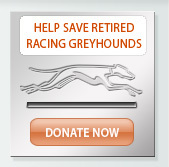 Greyhounds and Spanish greyhounds need our help here in the United States as well as in many countries across the world. Pressure on Spanish politicians would help to end this cruel tradition. 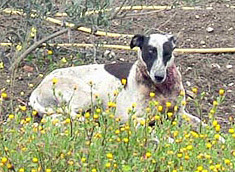 Polo, a Spanish greyhound or "Galgo", was found in the conditions depicted in the photographs below, on the 28th of April, 2010 in Alcolea del Río, a village near Seville in the south of Spain. For some unknown and incomprehensible reason, he had been hung by the neck and left to die, but the cord of the noose had broken. With the rope still embedded in a deep, open wound, Polo stumbled through the village. Many people must have witnessed this sight, but it was not until Polo crossed the path of Marcos, a local, who acted out of compassion, using common sense and taking the initiative to save this desperate animal. After a lack of support or advice from the local authorities, Marcos sought the assistance of Galgos 112, who advised him on how to rescue the greyhound and Marcos, together with friends, loaded the greyhound into a van and drove him 40km to the association's veterinary surgeon. For over three hours, a team worked to save Polo's life, cleaning and disinfecting the open flesh. From the state of the wound, which contained large larva, it was clear that this dog had been in this desperate condition for five days. However, the association's vet, Nuria, refused to be daunted by the challenge and, after a process of intensive cleaning, much saline solution, antibiotics and anti-inflamatories, Polo was finally able to rest for the night, his head quite literally sewn back on. It is a miracle that Polo survived as long as he did before Marcos rescued him. What remains indisputable is that had he been left in that state in the village, he would have died within a few days, a slow death caused by infection. Polo was lucky: someone with a soul saw him and decided to act. A fortnight on, Polo is still not out of danger, but is making a tremendous recovery. The wound in his neck was up to 4cm deep in places: the risk of infection is high, and the healing process will be gradual. It is uncertain whether the muscle tissue and tendons that were severed will recuperate and thus his head movement is likely to be restricted. For the present, his carers' aim is to keep Polo alive - free from pain, relaxed at last and able to eat, drink and sleep. What causes the most pain is the silent question in our minds, "How many more dogs are there suffering like Polo?" How many can we not save, because nobody sees them, or because people refuse to see them? Those politicians in Spain who claim that the hanging of greyhounds no longer takes place are lying or deeply disillusioned. It suits them to cover up this unpleasant topic as questions are raised at a European level about animal welfare within the European Member States. Hunting with dogs continues to be legal and is a popular recreational sport in Spain, receiving government funds. 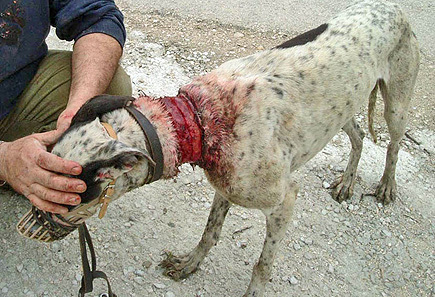 It is time that the people of Spain question the treatment of these animals and demand restrictions, licensing and control of this "sport", with the perpetrators of abuse being justly sentenced. Political pressure from outside of Spain can help to raise awareness and place animal welfare higher on the political agenda. If you would like to help change the fate of animals such as Polo in Spain, please get in touch with Galgos 112 - they desperately need your support.